Paper Mill Pharmacy & Gift Shop offers you the convenience of a full service pharmacy and a gift shop in one place. 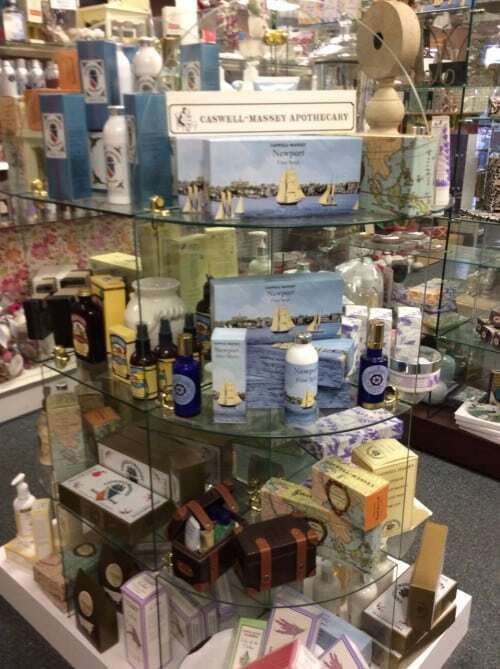 Our gift shop offers high quality beauty products, handcrafted gifts, a large jewelry selection, stationery and a variety of tabletop, linens and giftware, including Maryland theme gifts, garden gifts, equestrian gifts, Celtic Heritage, and more. We have gift ideas for everyone in your life. We are proud to be a Vera Bradley retailer, and have a variety of ladies handbags and ladies accessories for you to choose from. Our gift shop carries products from Burt’s Bees, Kiss My Face, Caswell Massey, Thymes, Lucky Tiger, Dinonis and more. We have baby gifts galore! Come browse our selection, and you’re sure to find the perfect gift. We have jewelry from several designers, including Salisbury Pewter, New Dimensions and Howards. We also carry jewelry cases from Mele & Company. We know we have something to satisfy your sweet tooth! Parfections handmade gourmet chocolates, Abdallah Chocolates and Fishers Popcorn are just a few of the items to choose from. We have 100% real soy candles as well as a variety of other candles. We offer all occasion cards and gift bags from Designer Greetings, Michel Design Works note cards, Pumpernickel Press Christmas cards and more. Call 410-667-4600 or stop by today to check out our gift shop selection. You’ll be glad you did.